Play The Clone Wars, You Must! Last year’s “Star Wars: The Clone Wars” animated movie didn’t exactly have folks lining up around the block like they did for ‘The Empire Strikes Back,’ but since it was an animated film it more than made its money back. It was also a preview for what was to come on your home screen. So when Lucasfilm Animation launched its TV series for the Cartoon Network, it garnered the kind of loyal audience you’d expect for a ‘Star Wars’ property. Now comes the compendium video game. It’s the Clone Wars storyline bridging the gap between series one and two of the TV series as you take on the role of your favorite Jedi. Developed by Krome Studios, ‘Star Wars The Clone Wars: Republic Heroes,’ like the TV series, lives in the space between Episodes Two and Three of the live action films. 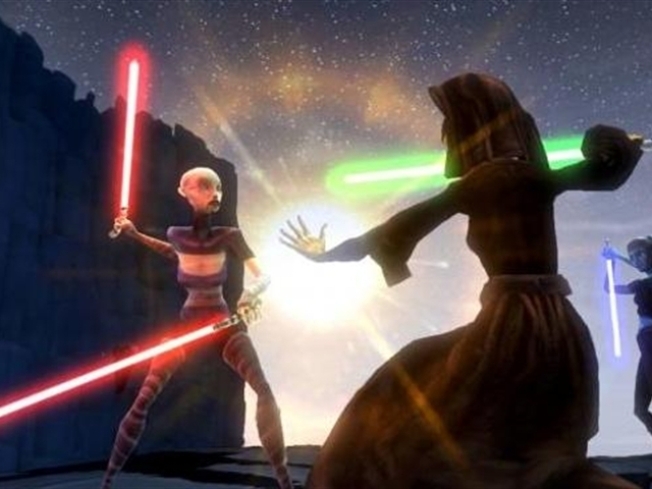 Lightsaber battles and strategic uses of the force are the keys to the game, which offers up a wide variety of environments -- some challenging, some not -- but since the game is based on an animated series the game at least looks the part. As a two-player cooperative, it’s challenging enough to keep the attention of both kids and old school Star Wars aficionados. For more background on the exact storyline feel free to consult ‘Wookiepedia’ the Star Wars wiki, but to jump in full force and wreak havoc on separatist droids as a Jedi or a Clone Trooper, Republic Heroes is a decent example of how you can do your small part to restore peace to the galaxy.